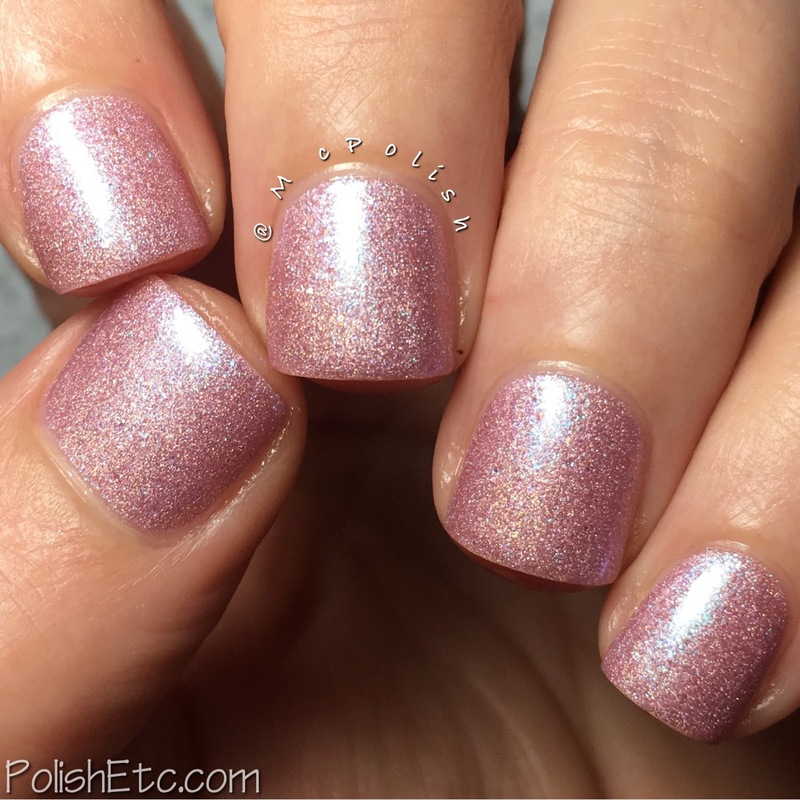 Ellagee - Hella Holo Customs - Polish Etc. 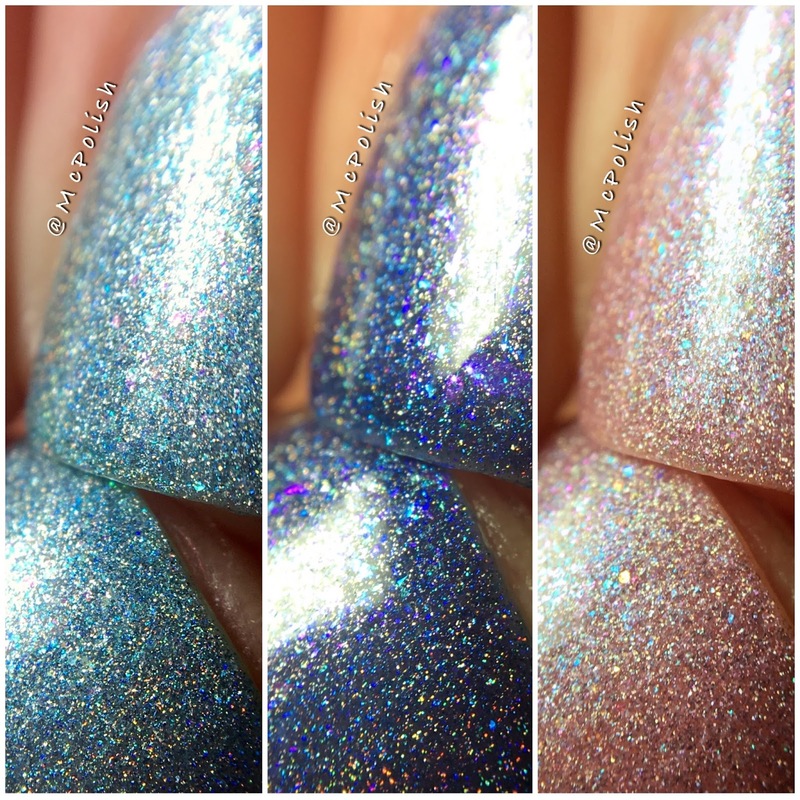 I have three of the prettiest little holographic polishes to share with you today! Ellagee is one of the guest makers for the Hella Holo Customs group this month. This is a Facebook group that provides inspiration photos to makers then votes on the photos and the names of the custom creations. You will only be able to purchase these polishes by joining the HHC Facebook Group. So go ahead and do that now so you can get your hands on these delicious shades! Aquatic - A minty aqau blue linear holographic with icy blue shimmer and iridescent microflakies. The color is very dreamy and mermaid-esque. The holo is not super strong but compliments nicely with the shimmer. Nice formula here. I am showing you two coats with glossy top coat. A silver druzy like ring is included with the bottle while supplies last. Nightspark - A purple toned deep blue linear holographic with bright pink shimmer and larger iridescent flakes. The flakes really danse around nicely against the dark base color. Lots of shiftiness. The formula was squishy like a jelly but still opaque. I am showing you two thicker coats plus glossy top coat here. While supplies last, you will also get a blue to red shifting druzy like ring with your bottle. Heartstone - A soft warm pink linear holographic with shifting aqua/pink shimmer. So dainty! The holo effect is soft as well with both a linear and scattered effect. Even with this lighter color, I was able to get it opaque in just two coats. And aqua druzy like ring will be inclused with the bottle while supplies last. Aren't these holos just precious?!? I am dying over Heartstone. Again, I oddly choose the pink one as my fave. These polish will only be available to pre-order through August 5th. 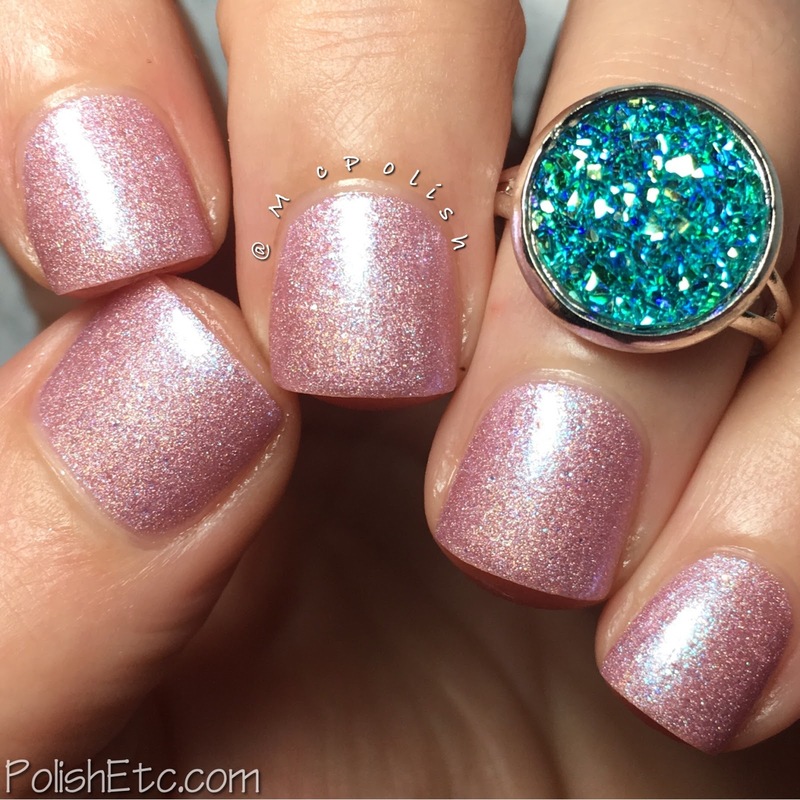 You must join the Hella Holo Customs Facebook group to get access to the listings as well as coupon codes for purchasing other polishes from the Ellagee store. Go join today! This soft pink shade is beautiful. They all are, but the pink is my favorite!